Estate settlement should be as straightforward and non-disruptive as possible for your family. Proper planning can make estate settlement a smooth process for all concerned by ensuring that all legal and tax requirements are met. 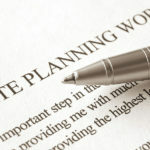 Having a current will in place is a critical first step and will ensure that your wishes are carried out as you intend. 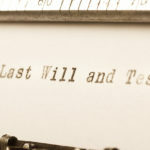 A will allows you to select the individuals who will receive what you own when you die.A will includes specific directions on how you wish your estate to be distributed after your death, including provisions for any tangible personal property that you may own.If you don’t have a will in place, you can’t select the recipients of your property and the state you reside in will determine how your property is divided.